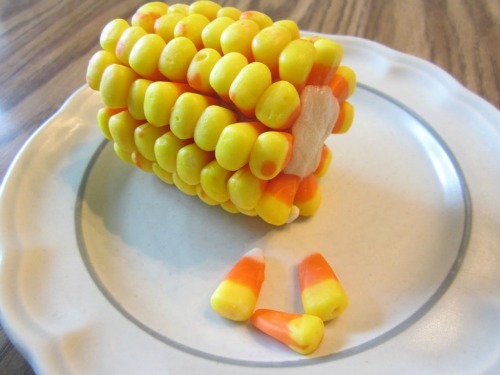 With autumn just around the corner, we thought this weekend we would make some candy corn on the cob. This will be our contribution for the sweets table at the Vikings Kick Off party on Sunday. All you will need for this sweet project is a tube of raw sugar cookie dough and a package of candy corn. Start with a cob size of the cookie dough. Push the candy corns into the cookie dough only as deep as the white part of the kernel. Be sure not to push them in too deeply or they will collide and cause the cob to loose its shape. Layer the kernels by alternating the spacing of each row length-wise. As you can see in the picture, the rows with the kernels need to lay flat against each other. Chill at least an hour, then it will be ready for guests to pick the kernels off of the cob for an instant sugar rush. Another easy peasy recipe for fun! Moon in My Room brings the beauty and wonder of this celestial body right into your child’s bedroom. This remote controlled, glow-in-the-dark “mini moon” is contoured and textured to feature an authentically detailed lunar moonscape. A built in light-sensor illuminates a room when it gets dark and shows 12 phases of the moon. The phases can be controlled manually or set to rotate on an automatic function to change every five second, so that kids can follow the moon in the sky with the moon in their room. 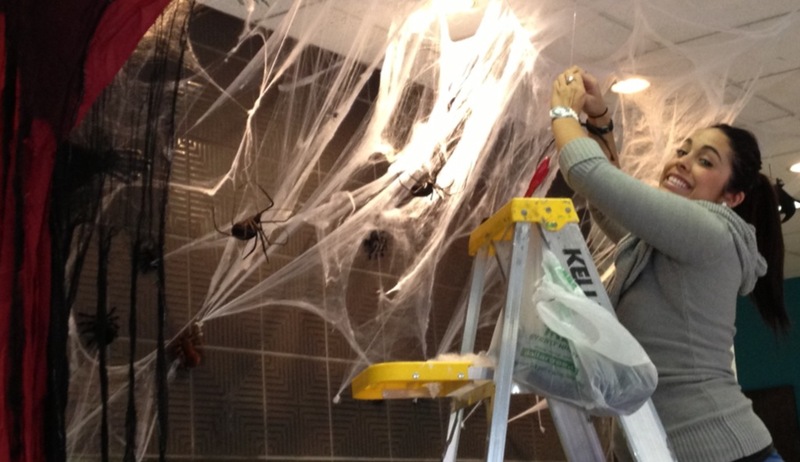 So, what fun things did you do on the longest night of the year? 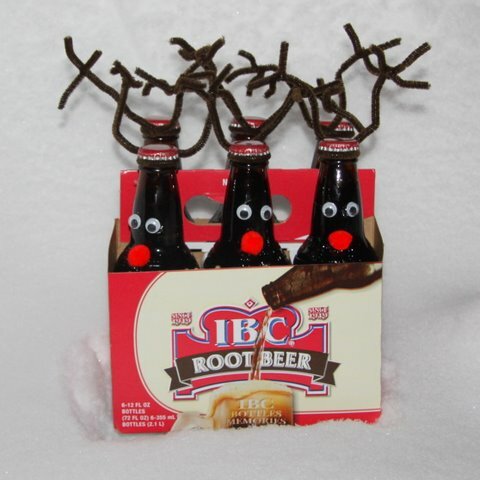 We had a jolly old time making Reindeer Root Beer for friends and neighbors. 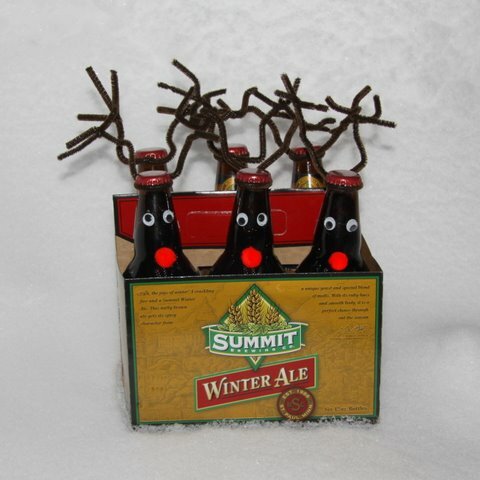 We could not resist dressing the winter ale bottles for a party Wednesday night. 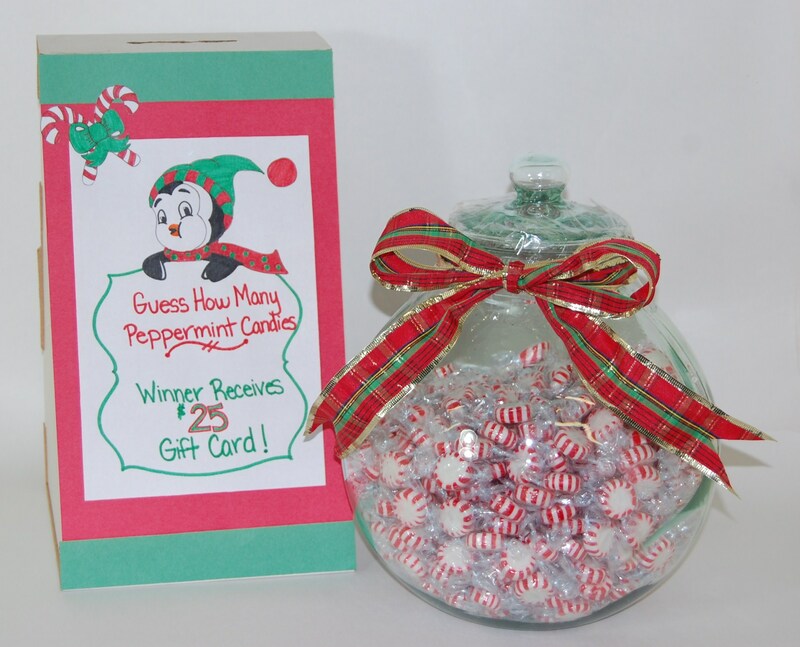 The winner will be the person that guesses the exact or closest number of peppermint candy in the jar. Leave your guess on our Facebook page and we will announce the winner December 30st. 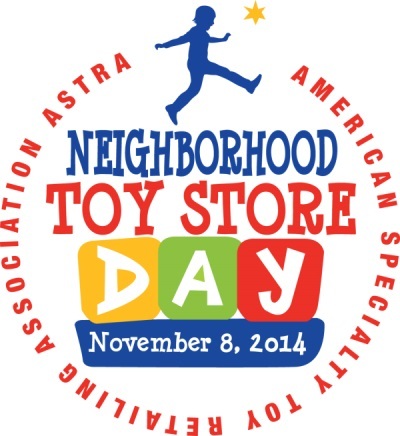 You will receive a $25.00 Totally Gift Card! Good Luck! GUESS HOW MANY PEPPERMINT CANDY CONTEST? Swe-e-et! This jar of treats includes a gingerbread man, a lollypop and two colorfully wrapped candies. Remove and replace these sugar-free goodies to develop fine motor skills while at play. Constructed of high quality fabrics and phthalate-free plastic, this soft and durable set will provide hours of no-cal fun! A classic soft toy for little ones 6 months plus. with individual wrappers. 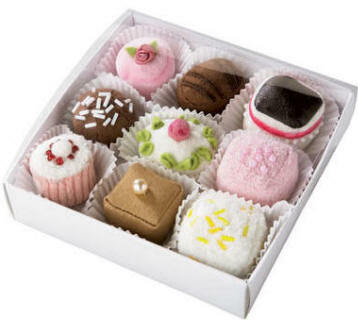 These treats have such a delicious appearance that they should be kept away from small children, lest they mistake the play petit fours for the real thing. Peppermint Pie – Oh My! and easy enough for kids to try making. COMBINE cookie crumbs and butter in large bowl. Press crumb mixture onto bottom and side of 9-inch pie plate. (9-inch prepared chocolate cookie crust may be substituted.) Freeze for about 15 minutes or until firm. Place ice cream in refrigerator for 15 minutes to soften. SPREAD softened ice cream evenly into frozen crust. Pipe or spoon whipped topping around border of pie. 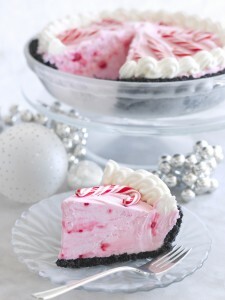 Arrange candy canes on top of pie. Freeze for several hours or until firm. TO SERVE, cut pie into 8 wedges. Place on dessert plates and drizzle with chocolate syrup. These are a teacher gifts easy enough for young children to make. Make and Takes once again has such a great idea and shows us how. 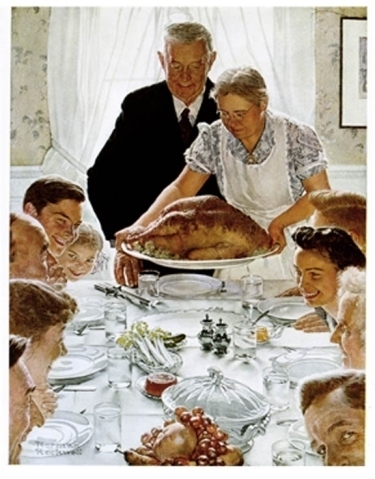 There must be a kids table at every Thanksgiving, it’s practically an American tradition. For me, growing up, it was most likely for the preservation of fine china, crystal and family heirlooms from precocious little cousins. The winner will be the person that guesses the exact or closest number to how many corn are in the jar. Leave your guess on our Facebook page and we will announce the winner December 1st. You will receive a $25.00 Totally Gift Card! 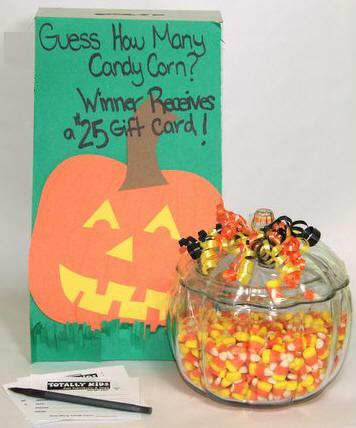 Congratulations Tanya George you are the winner and will receive a$25.00 Totally Kids Gift Card!